We are collecting clean, gently used uniform clothing starting April 2 through April 20. These donations will be offered at the PCO’s Uniform Re-use Market at Earth Nite on April 20. Please bring in your outgrown clothes to the collection bins in either school building. Thank you! Contact uniforms@ecspco.org with any questions. Please join us for Cyber Safety & Youth Technology Trends: Creating Responsible Kids on Smartphones through Adult Awareness and Behaviors on Wednesday, May 23rd from 6:00 to 8:30 in the Upper School Cafe. Ryan Klingensmith, as the founder of Shape the Sky, has brought together a network of concerned parents, educators, clinicians and media for a common cause: to enrich the online experience for our children through better education and more effective communication. There will be limited space so reservations are encouraged. Please reserve your spot now. This is an adult only event. Pizza and childcare will be provided for school-aged children of ECS families. For more information, please contact Jill at events@ecspco.org. Children are born into an online world where they often believe they’re all on their own. They don’t think parents have the understanding to help. Or worse, that parents may overreact to requests for guidance. So kids don’t ask, parents don’t get involved—and the conversation never starts. The truth is, children have the knowledge to navigate the Web, but lack the wisdom of an adult’s experience to do so safely. Then, we’ll help you start the conversation with your children. So you can connect, share and learn together. We want to help you create responsible kids on smartphones effective communication. All parents and guardians of current ECS students are automatically members of the Parent Community Organization (PCO), as are all school employees and Board of Trustees members. We have no membership dues. We hope you will join us at PCO meetings and events and as a volunteer. And we also invite you to join our discussions online at the PCO Facebook Group. Aug. 13 – K-5 Playground Date at Frick Park – students, families, and friends welcome! Aug. 17 – New Family Welcome – new and veteran families welcome! Every year the PCO collects student and parent contact information to include in the school directory. This is a great resource for birthday parties, play dates, carpools, and connecting with the school community. Please fill out this quick online form by September 8th September 15 to be added to the 2017-18 directory. If you have any questions, please email directory@ecspco.org. FOR SALE: ECS t-shirts and sweatshirts with the new ECS logo. All orders placed by September 1, 2017 will be delivered to classrooms by mid- to late-September. After September, a limited number of sizes and colors will be stocked by the PCO and available for purchase. Order now. 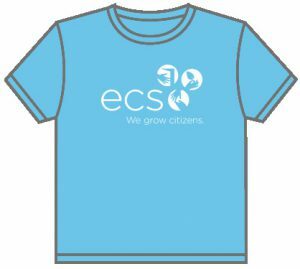 The PCO would like to ensure that every student at ECS has the opportunity to have an ECS t-shirt. If you can not afford the price of a t-shirt, you may request one free t-shirt per student. Anyone who works or volunteers with students at ECS must have these three clearances on file: PA Child Abuse Clearance, PA State Police Criminal Record Check, Federal Criminal Background Check. Read more about the requirements and instructions for filing for your clearances. 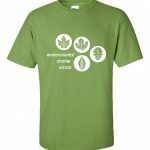 You can now order ECS t-shirts and polo shirts from our remaining inventory. The PCO is only able to invest in a small amount of inventory to stock throughout the year, so sizes and colors are limited. Place your order here and you will be notified on the checkout page if your selection is not available. Printed wall calendars were produced by the PCO and delivered to students’ classrooms. Each family should receive one calendar. If you don’t receive a calendar by Tuesday, Sept. 13 or if you need an additional calendar for a second household, you may request one by filling out this form. Every year the PCO collects student and parent contact information to include in the school directory. This is a great resource for birthday parties, play dates, carpools, and connecting with the school community. Fill out this easy form; all information submitted by Friday, September 9 Thursday, September 15 will be included in the 2016-2017 directory. Advertise: We are currently accepting advertisements in the school directory. More info here. ECS PCO will receive up to 10% of your purchase from Amazon.com when you click on this link or the banner below. The mission of the ECS PCO, as a model of sound environmental practice, is to build and support positive relationships between families, staff, the Board, and the community.